The strict Health and Safety procedures that Pantera Wardrobes adhere to come from tried and tested systems which have been developed within the group since 1998. 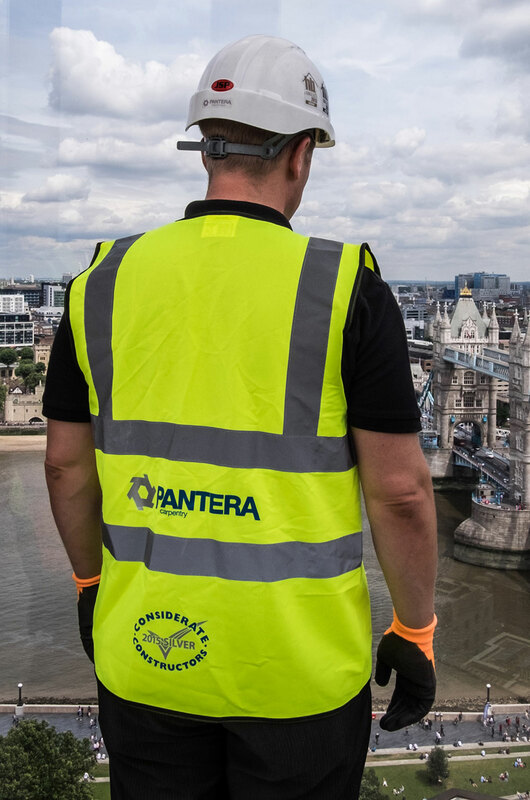 Pantera Group operates to the highest levels of Health and Safety and this is an integral part of business performance. We recognise that ‘safety’ and ‘quality ‘ are synonymous. Pantera Wardrobes works within the same parameters and follows the same procedures as the wider group. These are regularly monitored, upholding ISO18001 accreditations which set out a framework within which we conform to the Management of Safety. The wealth of experience that the Group of companies has in Health and Safety on construction sites is something that often sets us apart from our competitors, especially those who are used to dealing with domestic or retail markets. Pantera take their role in protecting the environment, and offering sustainable products, seriously. We operate within ISO14001 and have documented processes to identify risks and reduce the impact of our operation. This extends to our policy on the recycling of waste materials and packaging, in our choice of suppliers and materials and we are Silver FORS accredited, driving lower fuel consumption and emissions from our vehicles. We have also been awarded Considerate Constructor status and always source FSC certified products where possible. To this end, our new Urbanmobili furniture is manufactured using FSC certified board. Within our supply chain, Novamobili is an example of our sourcing policy. The company holds Greenguard Indoor Air Quality certification which is the strictest international accreditation available for chemical emissions. They only use water-based paints which reduce the emission of polluting solvents into the atmosphere by 95%. This safeguards the health of those who manufacture the products and the consumer. Eco panels are used which are made exclusively through the recycling of wood thanks to a production process of certified quality which respects the environment and does not involve the felling of trees. For more information, please request a copy of our Environmental policy.